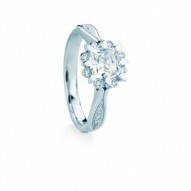 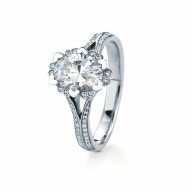 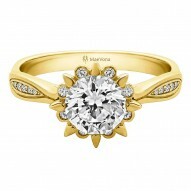 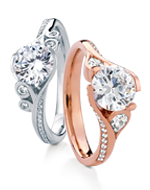 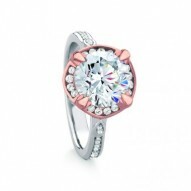 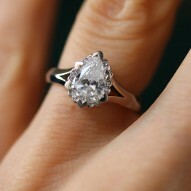 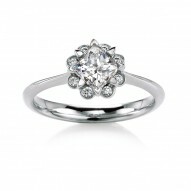 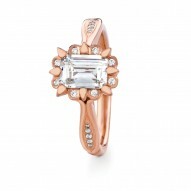 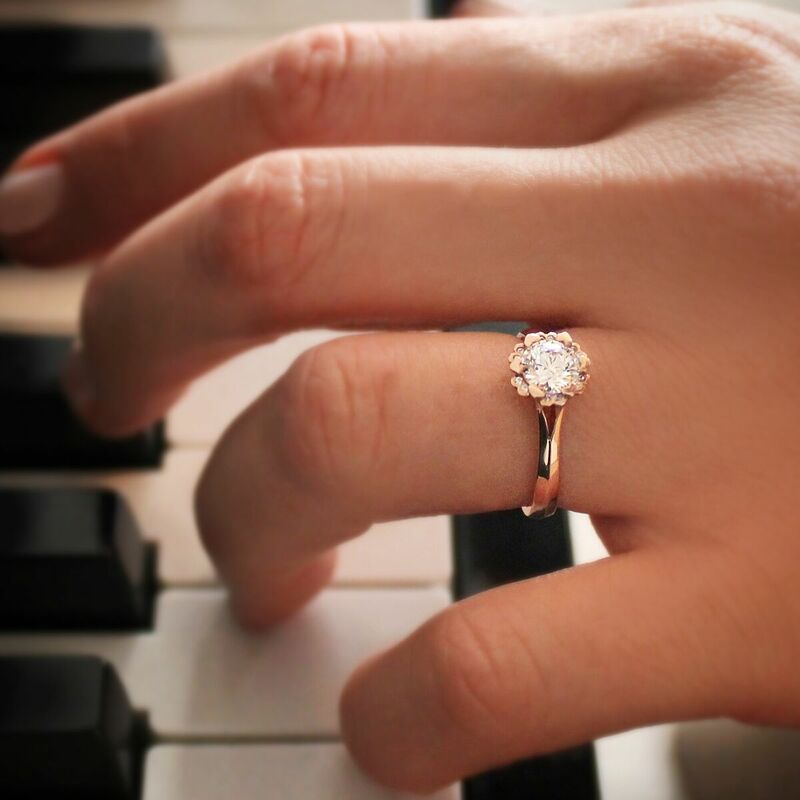 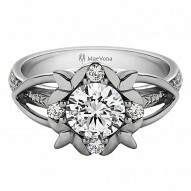 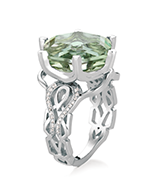 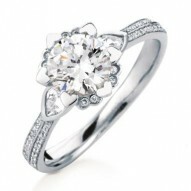 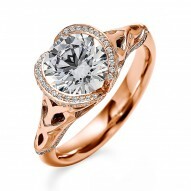 Beautiful floral solitaire named after the Scottish Wildflower Iris. 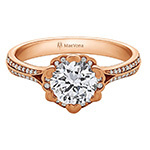 Heart-shaped prongs frame the round center stone, accentuated with delicate diamond accents between the prongs with a split shank. 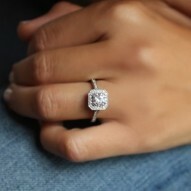 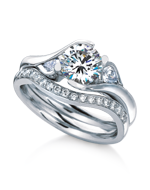 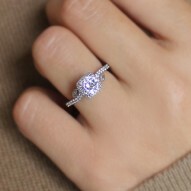 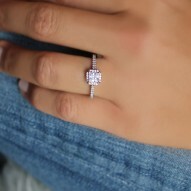 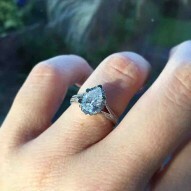 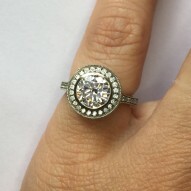 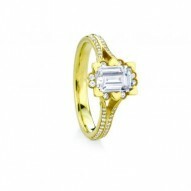 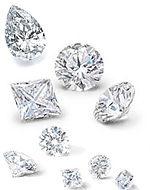 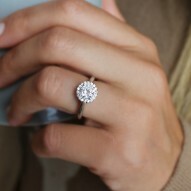 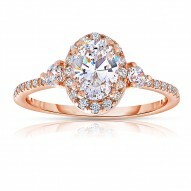 Priced with 0.04ct H-SI Accent Diamonds.